This article was originally published on Machinevision. 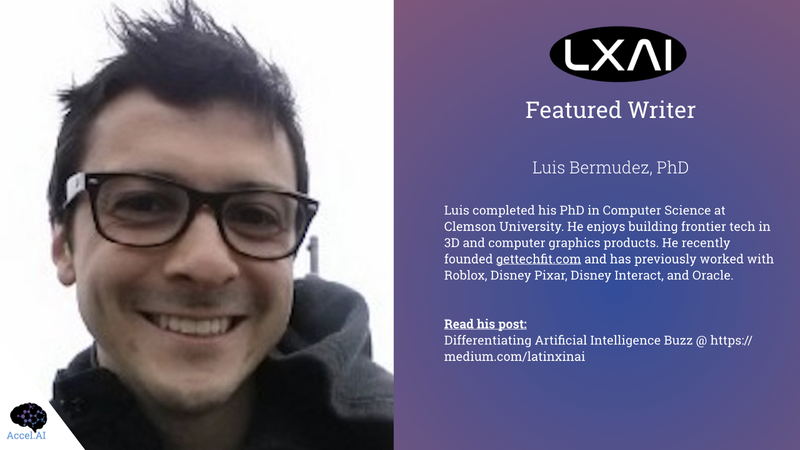 If you’re in tech, you’ve been hearing a lot of buzz around Artificial Intelligence, Machine Learning, and even Deep Learning. What’s the right word to be using and when? Do they all mean the same thing? I mean, people are sure using it interchangeably all the time. Artificial Intelligence, Machine Learning, and Deep Learning are each a subset of the previous field. Artificial Intelligence is the overarching category for Machine Learning. 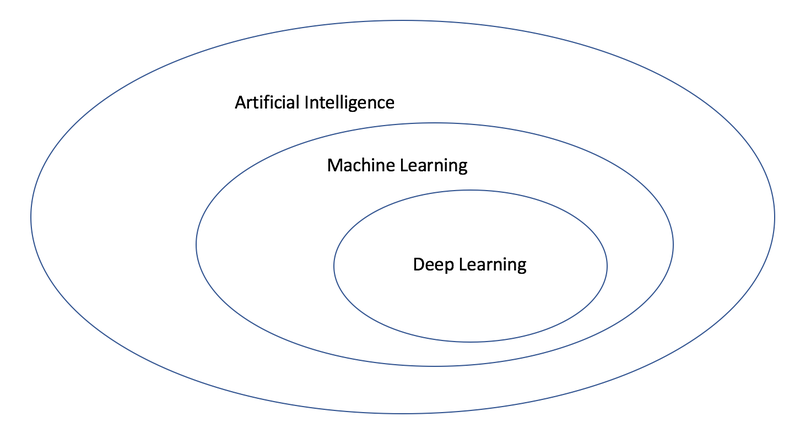 And Machine Learning is the overarching category for Deep Learning. Deep Learning is a subset of Machine Learning, and Machine Learning is a subset of Artificial Intelligence. The real hype in recent times should all be credited to Deep Learning. This particular field of Artificial Intelligence and Machine Learning is the one that has been solving a ton of interesting problems in recent years — from automated grocery store purchases to autonomous cars. So why have we been hearing so much about Artificial Intelligence? Some might credit Elon Musk and Sam Altman. Elon Musk has been increasingly speaking on the subject of ethics in Artificial Intelligence. I suppose he’s using Artificial Intelligence as familiar jargon used in science fiction media. Artificial Intelligence is a wide field encompassing several sub-fields, techniques, and algorithms. The field of artificial intelligence is based on the goal of making a machine as smart as a human. That is literally the initial overarching goal. Back in 1956, researchers came together at Dartmouth with the explicit goal of programming computers to behave like humans. This was the modern birth of Artificial Intelligence as we know it today. To further explain the goals of Artificial Intelligence, researchers extended their primary goal to these six main goals. 1) Logical Reasoning. Enable computers to do the types of sophisticated mental tasks that humans are capable of doing. Examples of solving these Logical Reasoning problems include playing chess and solving algebra word problems. 2) Knowledge representation. Enable computers to describe objects, people, and languages. Examples of this include Object Oriented Programming Languages, such as Smalltalk. 3) Planning and navigation. Enable a computer to get from point A to point B. For example, the first self-driving robot was built in the early 1960’s. 4) Natural Language Processing. Enable computers to understand and process language. One of the first projects related to this, was attempting to translate English to Russian and vice versa. 5) Perception. Enable computers to interact with the world through sight, hearing, touch, and smell. 6) Emergent Intelligence. That is, Intelligence that is not explicitly programmed, but emerges from the rest of the explicit AI features. The vision for this goal was to have machines exhibit emotional intelligence, moral reasoning, and more. 1) Machine Learning is the field of artificial intelligence that gives computers the ability to learn without being explicitly programmed. 2) Search and Optimization. Algorithms such as Gradient Descent to iteratively search for local maximums or minimums. 3) Constraint Satisfaction is the process of finding a solution to a set of constraints that impose conditions that the variables must satisfy. 4) Logical Reasoning. An example of logical reasoning in artificial intelligence is an expert computer system that emulates the decision-making ability of a human expert. 5) Probabilistic Reasoning is to combine the capacity of probability theory to handle uncertainty with the capacity of deductive logic to exploit structure of formal argument. The result is a richer and more expressive formalism with a broad range of possible application areas. 6) Control Theory is a formal approach to find controllers that have provable properties. This usually involves a system of differential equations that usually describe a physical system like a robot or an aircraft.